A new take on tile games. Is there a better alternative to Tile Game mini? Is Tile Game mini really the best app in MP3 category? Will Tile Game mini work good on macOS 10.13.4? Tile Game mini replaces the futility of tile solitaire - face it, you may never actually clear all the tiles - with the excitement of amassing a potentially huge score even with a stalemated game. 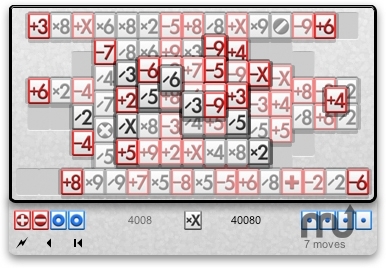 Your challenge is no longer to minimize the number of tiles, but to maximize the number of points. Tile Game mini needs a review. Be the first to review this app and get the discussion started! Tile Game mini needs a rating. Be the first to rate this app and get the discussion started! Note: Players who find the game pieces a little small can take advantage of the Mac OS "Zoom" feature. Enable this feature in the "Seeing" pane of the "Universal Access" System Preferences, then zoom in with "command option =" and zoom out with "command option -."